A Connecticut couple has named their baby with the assistance of their co-coffee drinkers over at the local Starbucks. Jennifer James and Mark Dixon couldn't decide on a name for the baby boy they were expecting so they took the matter to the place where all matters of importance are decided...the local coffee shop. A Connecticut couple has named its baby with help from customers at a Starbucks coffee shop. They put up a sign at the Starbucks in New Haven Green shop, where they are regulars asking people to vote. The couple said they got the idea from a system that the store uses for picking out an "employee of the month" letting the customers vote. "We saw that and thought we might as well see how it works," Dixon said. While the couple suggested the names "Jackson" or "Dixon" they did not limit the voting to just those two names. Of the approximate 1800 votes (seems like a lot of people drink a lot of coffee in New Haven) they received suggestions of Obama, Jebediah, Lincoln and Webster as some of their other choices. Out of the suggested names "Logan" was the winner. The baby will be named Logan Jackson Dixon. The kid should be thankful that he didn't end up with the name "Venti Light Mocha Frap No Whip". The next big question that the Starbucks patrons will weigh in on...to circumcise or not circumcise? A Florida man allegedly struck his disabled father several times on the head during an argument about how to make Kool-Aid, police report. Brandon Crosley was arrested Wednesday following the violent confrontation in the Cocoa apartment he shares with his father Greg. According to a Cocoa Police Department report, Crosley fled the residence after attacking his dad and was apprehended at a neighbor's apartment. The ensuing “verbal altercation,” an investigator noted, “became physical when Brandon began to punch Greg in the head with closed fist.” The police report does not specify how Crosley was improperly preparing the Kool-Aid. Brandon Crosley was charged with felony domestic violence and booked into the Brevard County jail, where he is being held in lieu of $1000. He is scheduled for a July 18 arraignment in Circuit Court. Isn't there an old saying about too many cooks in the kitchen ? ?...although I am curious how one can make Kool Aid wrong. Christopher Haro was driving a Ford pickup truck Wednesday evening when a Roseburg Police Department officer pulled the vehicle over for a traffic violation. During subsequent questioning, the cop concluded that Haro was intoxicated. 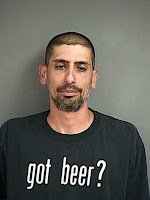 Haro was busted for DUI and booked into the Douglas County lockup, where he posed in his message t-shirt for his mug shot. He was freed from custody Thursday after posting bond on the misdemeanor count. What are the odds you will have just the right outfit on for your mug shot? Oh...I nearly forgot to talk to you about something!!! For those of you that organize the blogs you read in Google Reader...you might be aware that Google is discontinuing it (supposedly) this week. I have been trying out several feed readers and thought I would take the opportunity to tell you about a couple. My favorite thus far is Feedly. That is www.feedly.com. I was going to put a link to take you directly to Feedly but it links you to all the blogs I read so...you will have to go there and import your own list of blogs you follow. At Freely it will ask you to sign on to your Google account and sync all your feeds. It was a simple click to import all the blogs you read in Google Reader to Feedly. Also it lets you organize the blogs you read and delete them after you read them. You can, also, go to Bloglovin and set up an account for free. You just type the address or browse by title of the blogs you want and it creates a page for you to access those blogs. There is an import option to sync your Google Reader feeds to Bloglovin as well, I haven't done that yet as I did some manually. 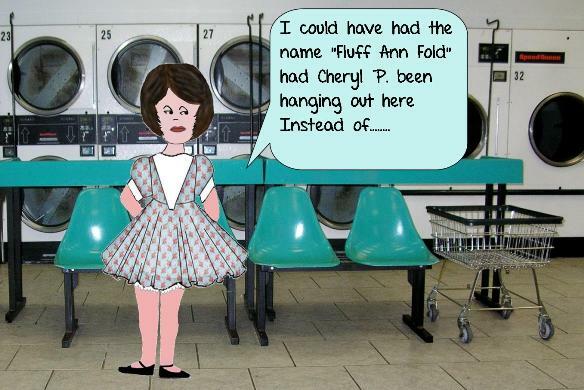 There is a good article on comparing the Bloglovin and Freely sites at I am: A Flippy Doodle. Click to read it if your are interested in setting up a place to organize all the feeds to your favorite sites. The article gives a lot of great info on the pros and cons of both. I hope you find an easy way to continue to follow The Art of Being Conflicted. I put a button at the upper right corner of my side bar to get you over to Bloglovin. As always, you can have TAOBC emailed directly to you. Either way, I hope to continue talking...or typing...whatever...with you my Internet friends. We need more Jebediah's in this world. A good Old Testamenty kind of name! How much would you care to bet that out of those 1800 votes for names that there were some that didn't get reported to the newspaper doing the interview? I think these two have a long life ahead of them if they are already struggling and needing help before baby boy even makes his way into the world. I like Logan much better than Mocha Frap No Whip. A disagreement about Kool-Aid in the town of Cocoa? You can't make this stuff up! I saw the Starbucks story and shook my head. Probably a better choice but had the kid had the Mocha Frap No Whip name his nickname could be some version of MOFO (not sure that is better than Mocha Frappicino but rolls off the tongue easier. Now that you say that...it clicks with me that this was in Hershey. I didn't pick up on that. That even makes it better. Yes, the Starbucks being used to name a baby...I worry that these parents are in over their heads. I read that Starbucks story three times, thinking I missed something. There was no prize money involved, no big reality tv show, no hidden camera, no payoff for promoting Starbucks in their town? Wouldn't you just love to be there when they tell their child about how he got named. Hum... I am wondering how they ever decided other important life choices, like getting married, or even having this child? Maybe they just weren't happy with their previous choices -did they flip a coin on those ones? 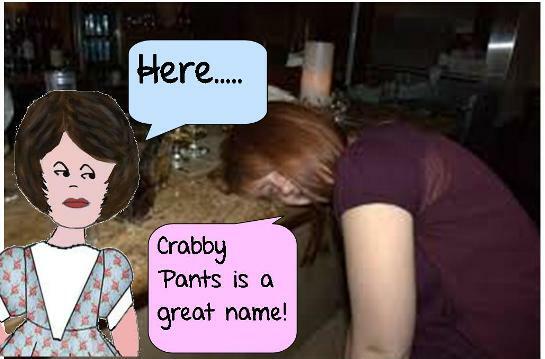 On another name- 'Fluff and fold'---gag gag, I am sure Crabby Pants would NEVER have shown her face if you'd called her that. I vote THAT one down! I had the same thought, Wendy...how did this couple make other life decisions? I, also wonder about the 1800 votes out of one little Starbucks. Is there a large social group that evolves in Starbucks? I am so out of it. Should I be hanging out there making large groups of friends that would be guiding me through major life decisions? WHAT??? You don't think that a child with the name Fluff would be good? I wanted to have twins and name them Skeeter and Scooter but that was met with mixed reviews as well. The problem was avoided as I only had single births. Maybe I should of gone to the local coffee shop prior to naming my own children. True...about the baby name...it could of been far worse. East or who knows what crazy things people will go for these days! Didn’t know there was a wrong way to make it! Did he offer instructions in the report? That could of turned out far worse for sure. Letting strangers have input into your kids name isn't the best approach but then I guess they didn't have to take anyone's advice. Kool-Aid crazy for sure. I wonder if the problem was an argument on how much vodka was to be added? That is so clever...Got Brains? You should start up a T shirt business. As far as readers..I know there are a ton of them and I have tried Bloglovin, FeedlerRSS, Perfect RSS and Feedly. I am really enjoying Feedly. After thought, Aleta...about the readers...Feedly has iPhone, IPad and Internet program...all seem to work well. I am not sure if you use Apple or Android. I have FeeddlerRSS on my IPhone and IPad. I haven't used that on my computer, so I am not sure of that capability. Yes, that man may pay fines and serve jail time, but I bet his dad never f**ks up the kool-aid again. I love your wild and entertaining brain. I was born at New Haven Hospital, which is not to far from said Starbucks. I'd say the kid was pretty lucky to end up with a normal name. I have also spent some time Cocoa Beach, where I assume that young Brandon was using gin while old Dad preferred vodka in his Kool-Aid. 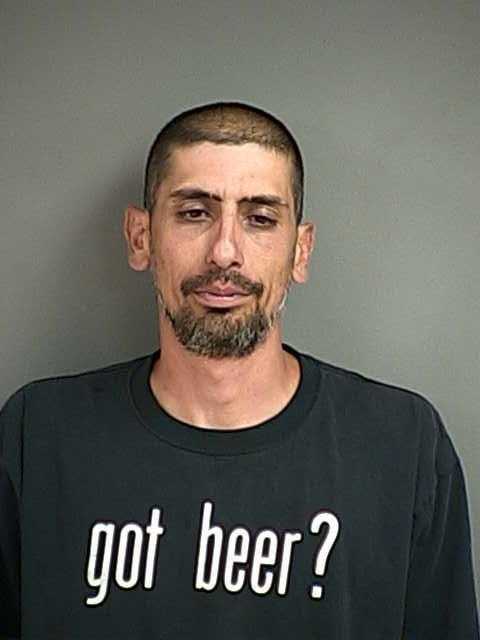 I love the T-shirt on the DUI mugshot. That says it all. Why thank you...I am so glad you find some of this entertaining. I thought the same thing, Bud...out of those 1800 (ish) votes, I will bet there were some "interesting" suggestions. On the Kool Aid deal...we can safely assume there were additions to the original recipe involved. I am thinking the gin was a better choice. The t-shirt...how appropriate for the occasion. Do you think this Google dropping of their reader is at all related to all the recent zombie talk? I don't. But I can't figure out anything related to the zombie stuff, so I thought I would ask. I think the naming approach was a bit odd but I named my first daughter based on a character in a spy show. I'm guessing the Kool Aid mix was not your normal Kool Aid for the kids mix. Of course you know people go to jail for dumb reasons. You'll have post material forever. You know...maybe that is the reason. Maybe this is zombie related. I can't think of any reason for dropping it when so many people still use it so that is as good of reason as any. Please tell me you didn't name your sweet girl after any women in the Bond movies. I suspect the fight over the Kool-Aid had something to do with adding a little something-something. I think the police should of put the recipe in the report. "The baby will be named Logan Jackson Dixon." Well that's way better than Kanye West & Kim Kardashians kids name, North. Way to give your child a sense of direction. "The kid should be thankful that he didn't end up with the name "Venti Light Mocha Frap No Whip". "A Florida man allegedly struck his disabled father several times on the head during an argument about how to make Kool-Aid"
Good ole Florida. They must house THE MOST crazies in all of the land! That t-shirt in the mug shot is literally making me howl with laughter. And now - I have to go download either Feedly or that Bloglovin thingy! No not a Bond girl. She was the Girl from UNCLE. It's a nice spring name. Kardashians (all of them) drive me crazy. How can a group of people be such a hot mess and get rich off of it. Good old Flor-a-duh. So many of the really bizarre stories come out of that state. What are the odds someone would have that shirt on and get picked up on a DUI? I have really been liking Feedly. It lets me sort the blogs I read and makes it a little easier to not miss any of my faves. I have no idea how the Kardsahians get away with all of that nonsense either. UGH. I signed up for BlogLovin so far ­ And I will try Feedly today! The kid should be thankful that he didn't end up with the name "Venti Light Mocha Frap No Whip"
Now, how do I get rid of this big bold red letterness? I'm so glad to see that you're still here, still being you. I've missed that so much. No busy how I get I'm gonna make time to get back here more often. By today's standards maybe Venti Light Mocha....isn't so far fetched. You are missed as well. I assumed you are working hard on Ecofab gifts so wasn't worrying about your health or welfare. Still it was great to catch up with you on your blog. Not much is happeing here other than the standard day to day fare. Have a great 4th and I will keep an eye on FB for you. 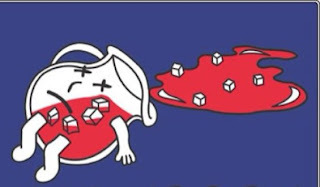 Let me get this straight: a city called Cocoa has its citizens getting violent with family members over Kool-aid? That's wrong on so many levels! Sometimes those little details just make the story that much better. There is a lot wrong with a lot of the weird news stories. Sheesh, so many examples of bad behavior. The Venti name would have been classic. They could have kept changing the first name as the kid grew up from whatever the small is to grande and finally Venti. I hope when the police came to arrest the Kool-Aid guy they brought the walking, talking Kool-Aid pitcher along to bust in the door and scream, "Oh Yeahhhhhh!"